Turkey’s president has welcomed a criminal probe into the leaders of the pro-Kurdish HDP opposition over their calls for autonomy. Ankara has been cracking down on protesters supporting the Kurdish minority in the country. The criminal investigation was opened last week after the Peoples' Democratic Party (HDP) issued a statement calling for the Kurdish population in the southeast of the country to be given self-government. "The statements of the HDP leaders are constitutional crimes,” Erdogan told reporters in comments published by the Hurriyet newspaper on Saturday. “There are investigations started by prosecutors against them. These should be followed up." "I believe the process that will start with the removal of immunities will have a positive impact on the mood of our country in fighting terrorism," he said. The politicians in Erdogan’s crosshairs are HDP co-chair Selahattin Demirtas and his fellow MPs, who are immune to regular prosecution, although they may be tried and sentenced, with punishment being carried out after their parliament tenures expire. In July 2015, Erdogan urged the parliament to lift immunity of MPs with suspected links to militants. The call came as a Turkish prosecutor launched an investigation into Demirtas over the alleged provoking and arming of Kurdish protesters. 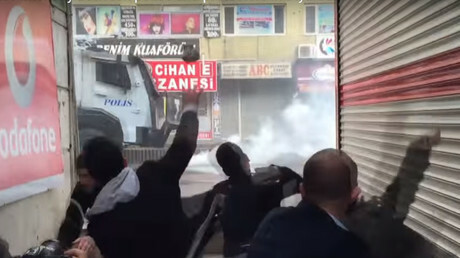 The crackdown on the HDP comes as the party continues to vociferously criticize Ankara’s military operation in predominantly Kurdish areas, which the authorities describe as an anti-terrorist effort. On Sunday, the Turkish military reported killing 261 militants since the start of operations in mid-December. But the HDP says dozens of civilians were killed during the round-up. “This is slaughter. This operation is not against the rebels. It’s against the people,” HDP spokesperson Feleknas Uca told RT. She added that the Kurds’ suffering is being hushed up by the government. In addition to imposing tight security measures and curfews in Kurdish areas, the Turkish government is clamping down on any attempt to protest elsewhere in the country. 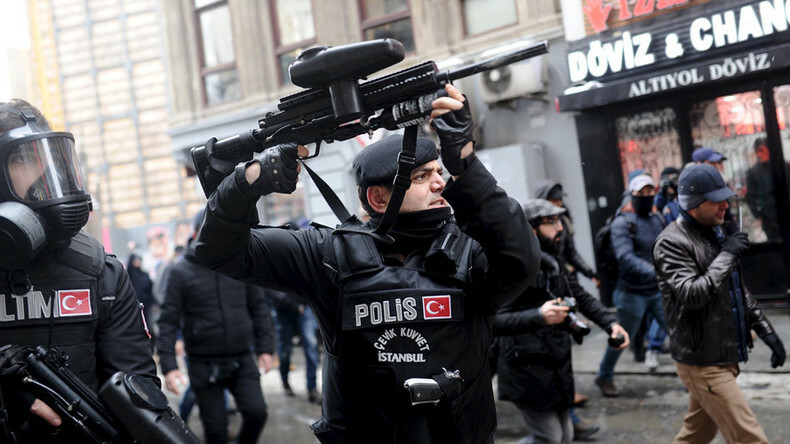 On Sunday, police used tear gas and batons to disperse some 200 demonstrators in Istanbul, the latest such move in a string of similar responses to peaceful protests. A dozen people were arrested. The Kurdistan Workers' Party (PKK) has been waging a guerrilla war with the Turks for decades, seeking autonomy for the Kurdish regions. An estimated 40,000 people have been killed on both sides from the violence. The current escalation erupted last year after a two-year ceasefire, as Ankara was worried by the Kurds’ growing influence in the region. Kurdish militias became some of the key forces fighting against the terrorist group Islamic State in Iraq and Syria, winning support from the US-led anti-IS coalition. Turkey, technically part of the coalition, has been using its military hardware to hit Kurdish targets, deeming the Kurdish forces a threat to its national security.